I left water in my fresh water tank over the winter. It is now green water. How do I rid the tank of the green color and make the tank usable again? ANSWER: Hi Jim thanks for submitting your question on our Ask An RV Question Page. OK I am sure that what I am about to tell you will freak out some RVers. The color in your water is in all likelihood being caused by Algae and believe it or not it is very common for RV Fresh water holding tanks to have a coating of algae in them and in most cases the RVer will not even know it. The fact that your water is green is a clear sign that the Algae is out of control in your fresh water tank. My suggestion is that you sanitize your RV's fresh water holding tank. As they say a picture is worth a 1000 words. In this case a video is worth a lot more. Take a look at the video below from RVing Expert Mark Polk on what you need to do to sanitize your RV's Fresh Water System. If your RV's Fridge is equipped with an Ice maker; make sure that you turn it off before starting the Sanitation Process. When sanitizing do not run any water through the drinking water dispenser on your Fridge or Sink. Driving or towing your RV While the sanitizing liquid is in your RV's Fresh Water tank will also help the cleaning process by agitating the water inside the Fresh Water Tank. If the tank is really bad a second treatment is recommended. 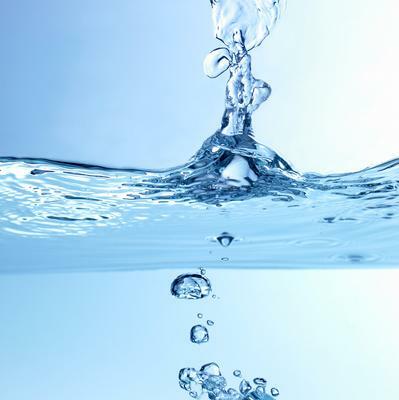 Once you are done with sanitation process it is also a good time to replace your RV's fresh water filter .